Welcome to luxurious Las Vegas, the city of fame and extravagance! 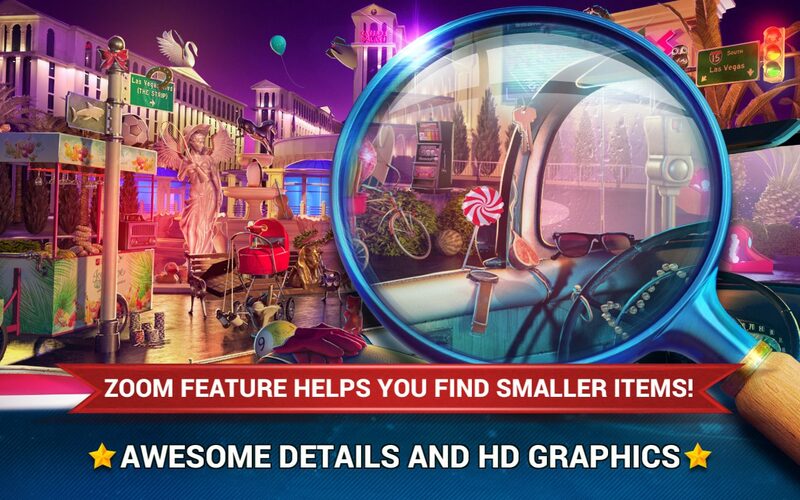 If you’re a fan of hidden objects games and casino games, Hidden Object Las Vegas Case will provide you with a magnificent brain-teasing experience. Also, these excellent puzzle games are great for the mind and for the soul – by playing hidden object mystery games you will have tons of fun and you will also enhance your mental capacities! Play these hidden object fantasy games if you want to improve your vocabulary and perfect your concentration. The best Las Vegas hotels and casinos are waiting for a puzzle-solving detective like you! Get ready for the most thrilling adventure in the sin city! 🎳 Use help via hint system! 🎲 Zoom feature – for mobile phones only! 🏆 100 % free of charge! 🎲 Lots of supported languages! If you’ve always dreamed of visiting the most extravagant city in the world, now you have a chance to see the casinos, the famous hotels, and to look for hidden slots, poker chips, roulette, coins, and money briefcases! Hidden object games free are the most popular way to improve your cognitive skills. First of all, exercise your fast fingers by playing hidden object adventure games. In addition, these educational games for kids and adults will be your number one choice for your leisure time. 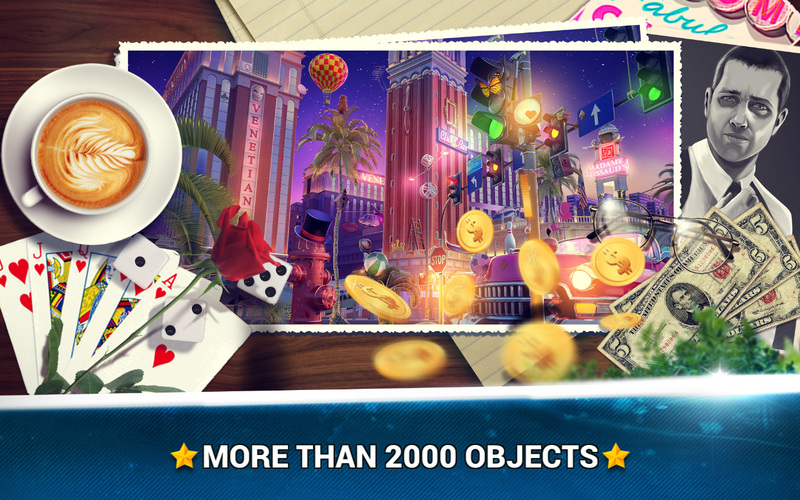 The Vegas casino is waiting for a secret detective like you. 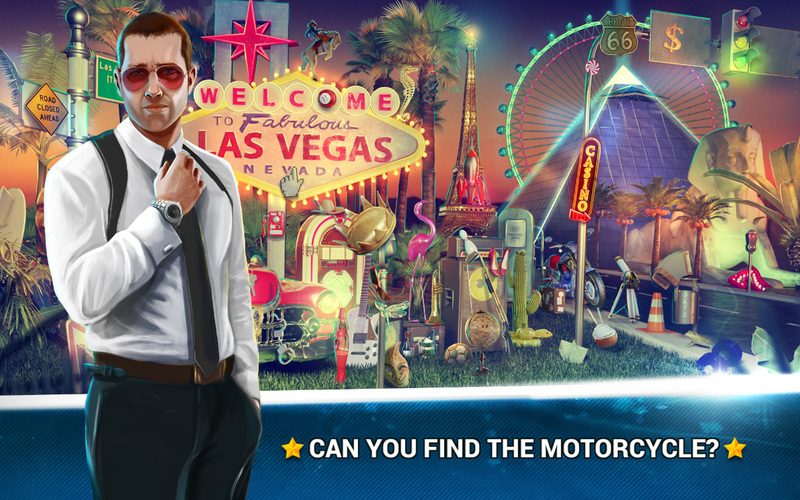 Moreover, if fun games are your favorite pastime and you like to indulge yourself in a good memory game, download Hidden Object Las Vegas Case and play the most popular games by Midva. 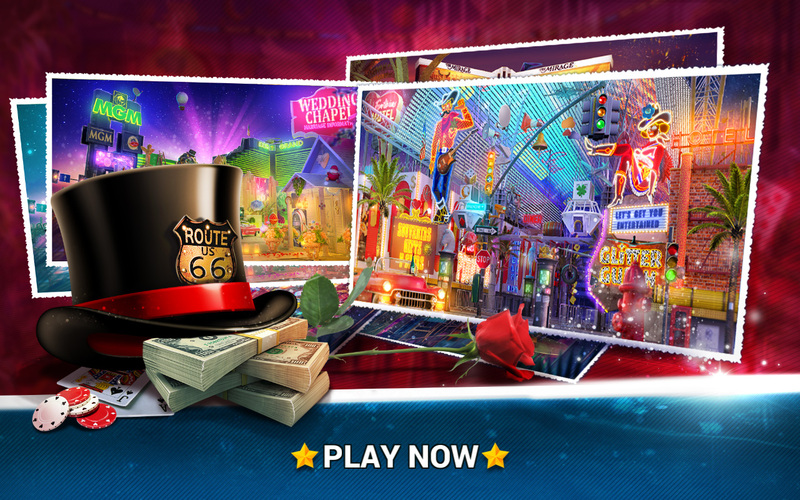 Improve your memory and have hours of fun with the most amazing hidden object casino games!